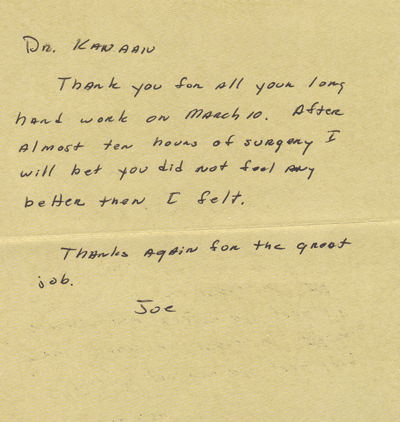 Dr. Kanaan is proud to help each and every patient achieve the best results possible. 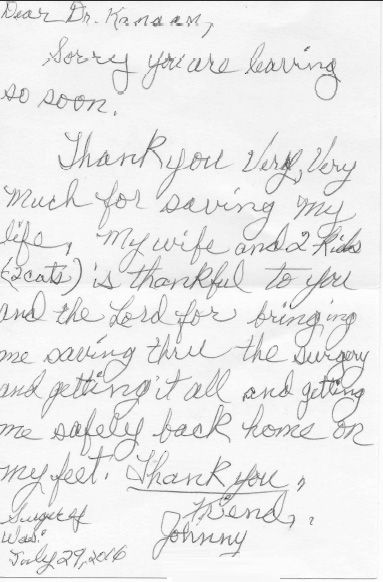 Many thanks to the wonderful patients that have sent letters to share their remarkable stories. Once again Dr. Kanaan responded immediately to tell me my mothers CT Scan came out good, she had that really bad Influenza so I was so concerned, but he reassured me her scan turned out good! 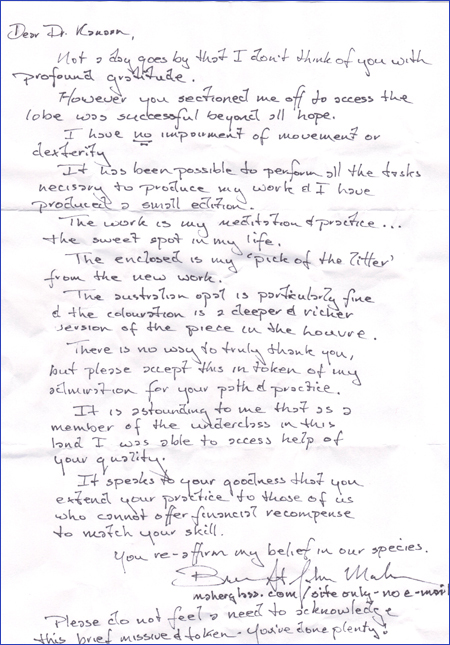 He is one of kind,he sets the bar really high for other doctors, great example! Lina in the office is the same, she responds immediately, they are a blessing to me and my family, especially when we were going through so much! Take notice other doctors!!! I highly recommend!!! I had a very unusual cyst on my heart that Dr Kanaan removed by robotic surgery. I am so glad my daughter, an RN at the hospital, recommended him to me. He was so professional and kind. 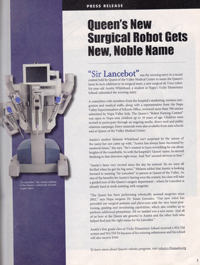 He is very knowledgable with the robotic machine and my recovery went very well due to the minimal invasive technique. His office manager, Lina, is also very pleasant, efficient and my questions were answered quickly. 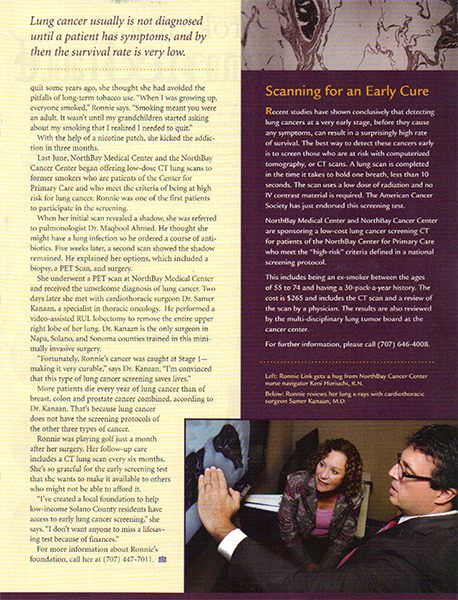 I was referred to Dr. Kanaan after a CT scan showed a spot on my lower right lung lobe. Dr. Kanaan did extensive testing to verify it was a lung cancer and to see if the cancer had spread anywhere else. Fortunately, it had not and the cancerous lower right lung section was removed robotically.. Dr. Kanaan explained in detail what we were doing at each step along the way. 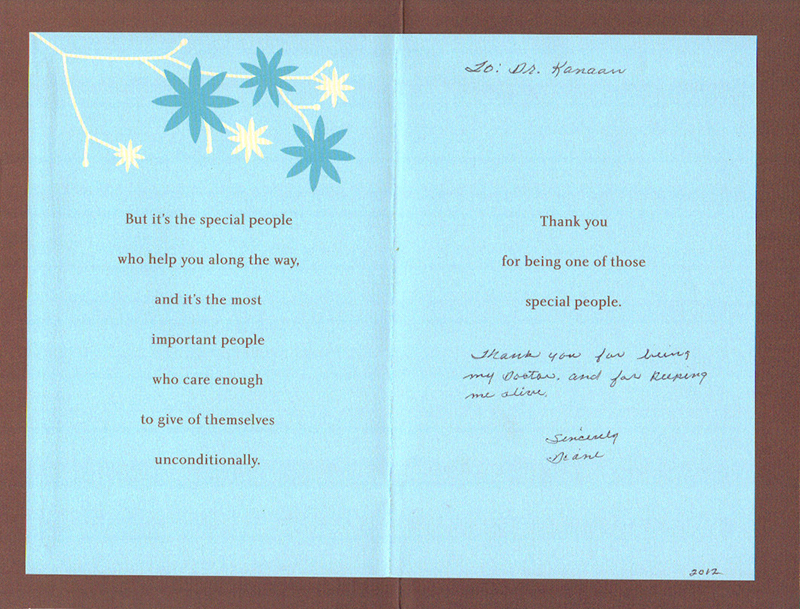 Dr. Kanaan, his staff and the staff at Mission Hospital were all wonderful. I am grateful to them all. Dr. kanaan knows his job well. He and his staff are very caring, made me comfortable and addressed the issues clearly. 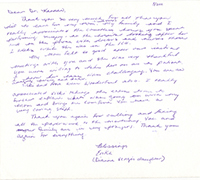 I will definitely recommend Dr. Kanaan to my family and friends. Dr. Kanaan was referred to me by my ENT Specialist after a lesion was discovered by PET Scan in my Right Upper Lung Lobe. 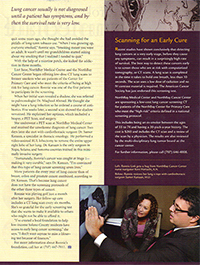 This was a surprise as the focus of my diagnosis was on Neck Cancer discovered just previously in Biopsy. My team, Medical Oncologist, ENT, Radiation Oncologist, Dr Kanaan Agreed the Lung had to be dealt with prior to moving ahead with Neck Cancer. The reason for the back up is the swift assessment and actions of the team and Dr Kanaan ability and connection had the Lung surg. Doctor Kanaan is made of the right stuff. I trust him with my life. 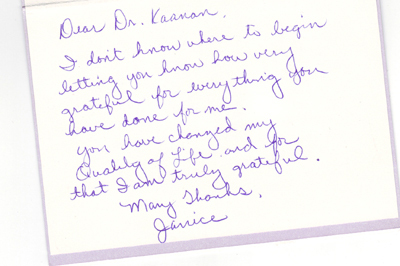 Given very little notice of my lung cancer, I was very fortunate to get Dr.Kanaan as my surgeon. 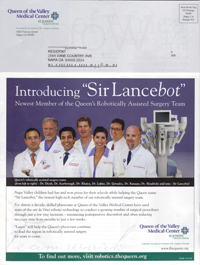 My surgery took place on June 29. Having just moved my life was in flux. 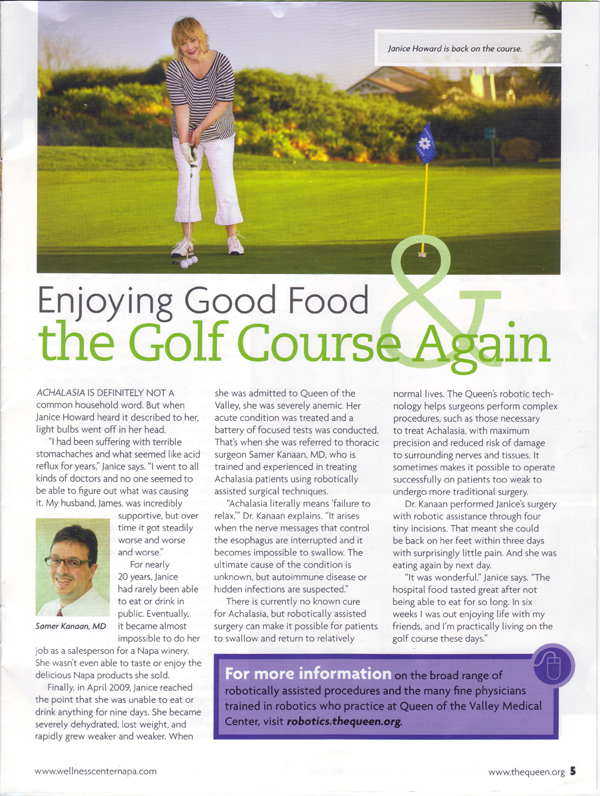 His manner made the process of my preparing for surgery a calming experience & I trusted him explicitly. During hospital stay Dr Kanaan visited me often. My pain problems were relieved & I was up walking shortly. Now I am home and my nurse, Teri McPhillips, who drove me to the doctor's office, admires his "bedside" manner. This doctor is amazing. !!! Capable, approachable, explains everything in detail, & answers your phone messages promptly. His caring manner is VERY impressive. 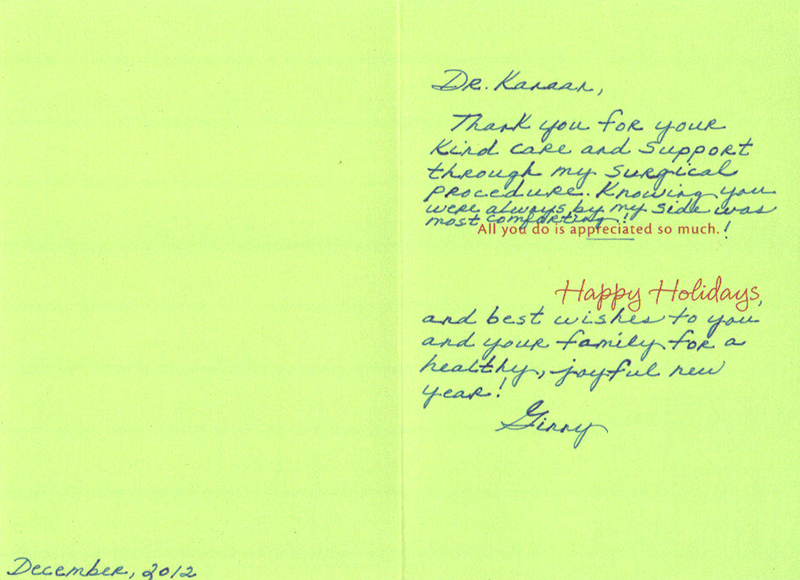 I am very satisfied with the care I've received from Dr. Kanaan. 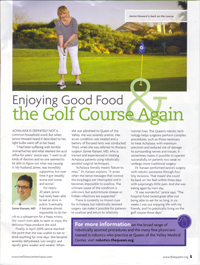 He explains the procedures and steps involved with my condition in terms I can understand. I am confident that he will steer me in the right direction. 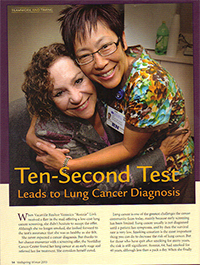 When I diagnosed with lung cancer earlier this year I was overcome with shock and fear of the unknown. Dr. Kanaan was very comforting and assured me that everything was going to be ok. After my cancer was removed I was able to return to a normal life again in only 6 weeks! My family and I are so grateful to have him as my surgeon! 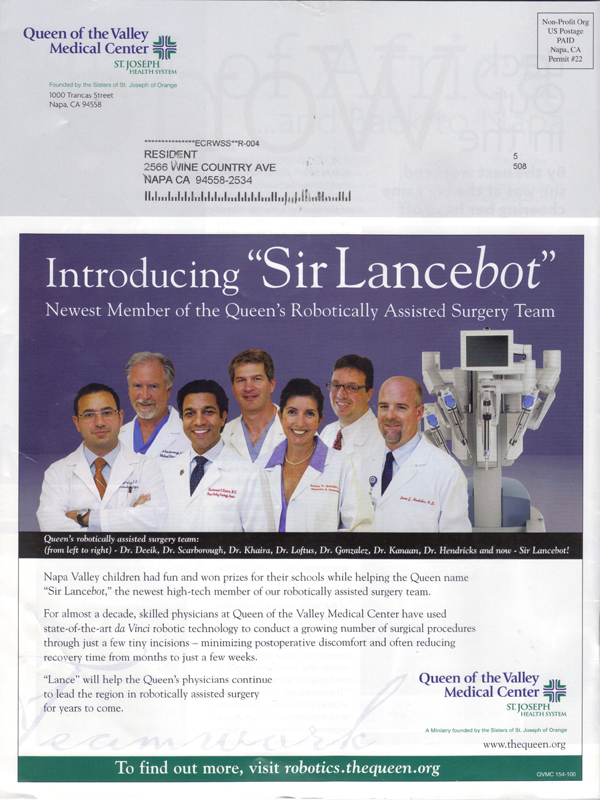 I whole heartedly recommend Dr. Kanaan and I am confident he's THE best Thoracic Surgeon in South. Call. Don't settle for second best for something this important! 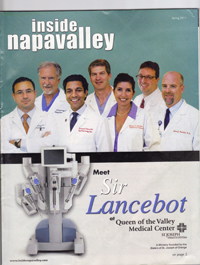 I took a lot of time researching the right surgeon for me. I have obviously picked the right man for the job. 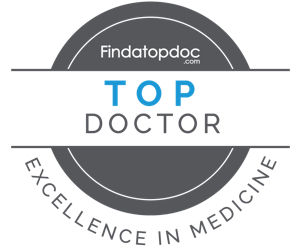 Professional, knowledgeable and truly dedicated to the highest clinical care standards. 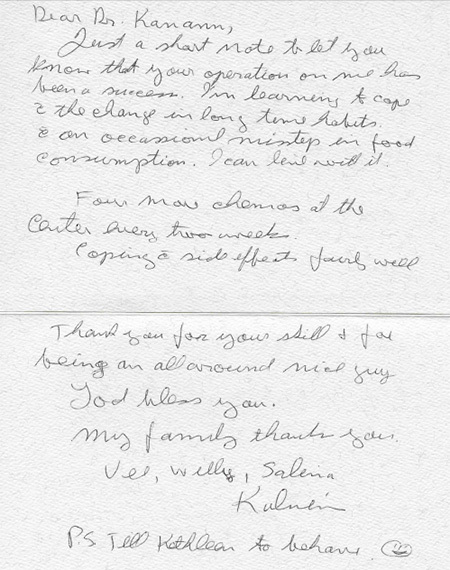 Thank you for your excellent care and devotion to myself & my family. I have never felt so safe and well informed. 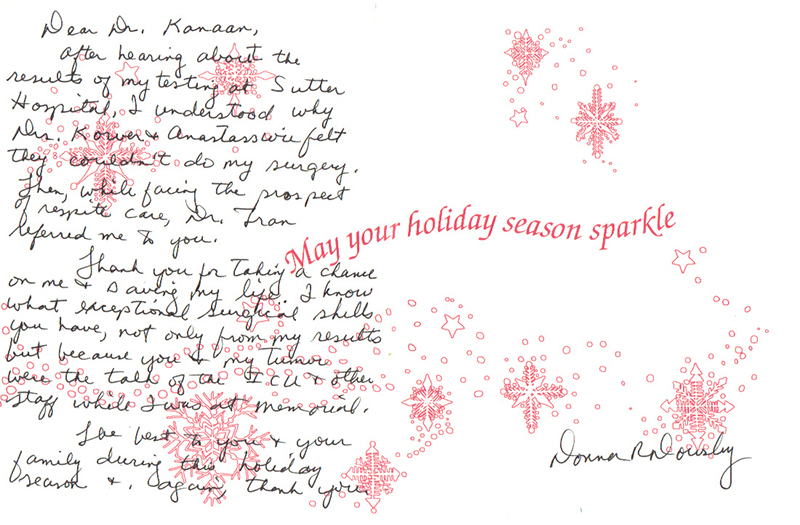 Dr. Kanaan is wonderful. Talk about a great "bed-side manner." He has so much more. 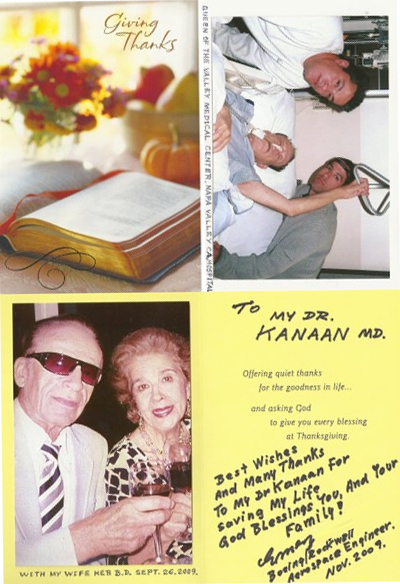 After my father's stage 4 lung cancer thoracotomy, Dr. Kanaan was amazing. He answered all questions, advised on all matters, sat patiently through my dad's stories & researched different options providing the most optimal comfort for him. In the 6 months we went through some of the most difficult moments of my father's life, Dr. Kanaan became so much more than our surgeon. Feels more like he's family. 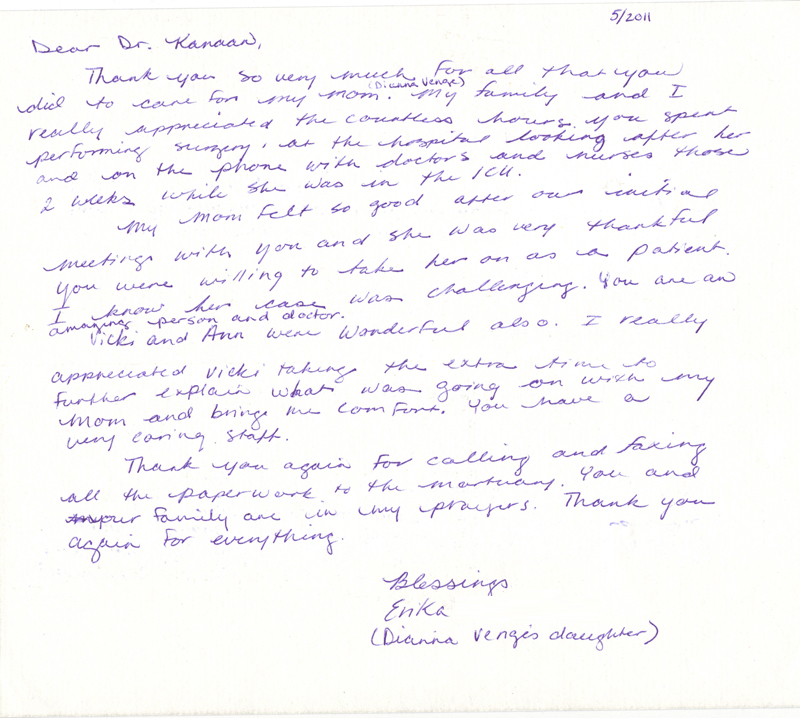 500 characters is not enough space to describe my complete trust, appreciation and amazement for Dr. Kanaan. He was readily available via phone or text any time I had questions before & after surgery. 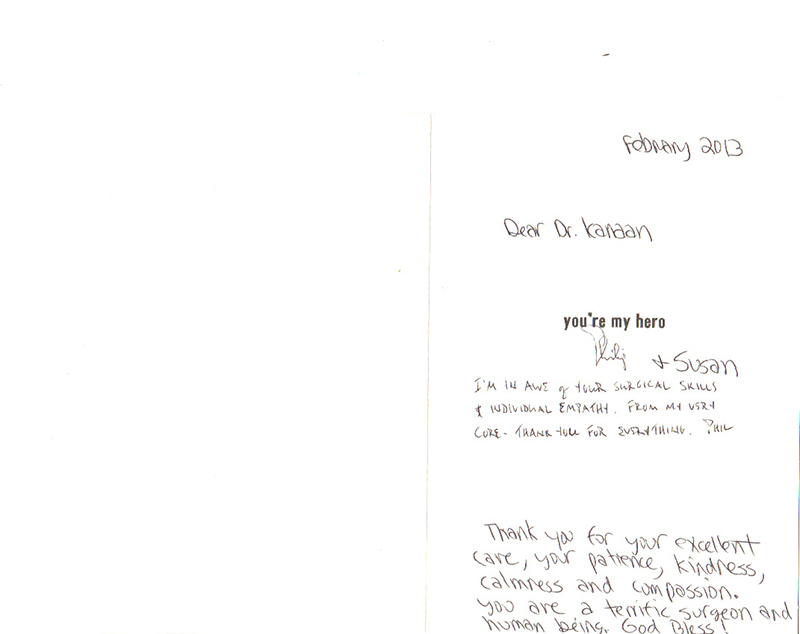 He & his office Manager Lina are the most kind, caring, supportive medical professionals. I had complete trust going into surgery & nothing but positive to say about the results of my surgery & recovery. I am honored & thankful to be in the position to write such an exceptional recommendation. 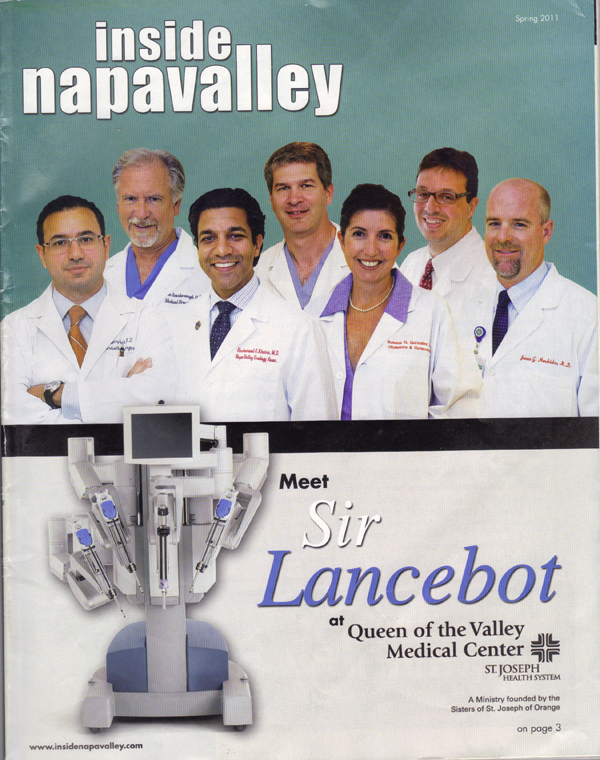 Dr. Kanaan is a rarity among doctors these days. He really does care about you as a person and not just a condition. He went above and beyond and out of his way to help me. I would love to be able to clone him! Or at least have him educate other doctors on compassion and kindness. I can't being to recommend him highly enough!!!! 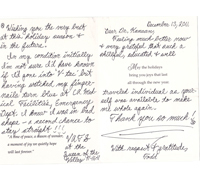 It is hard for us to put into words our deepest thanks and appreciation for your excellence of care for Linda in her recent diagnosis and lobectomy to remove a cancerous tumor in her right lung. 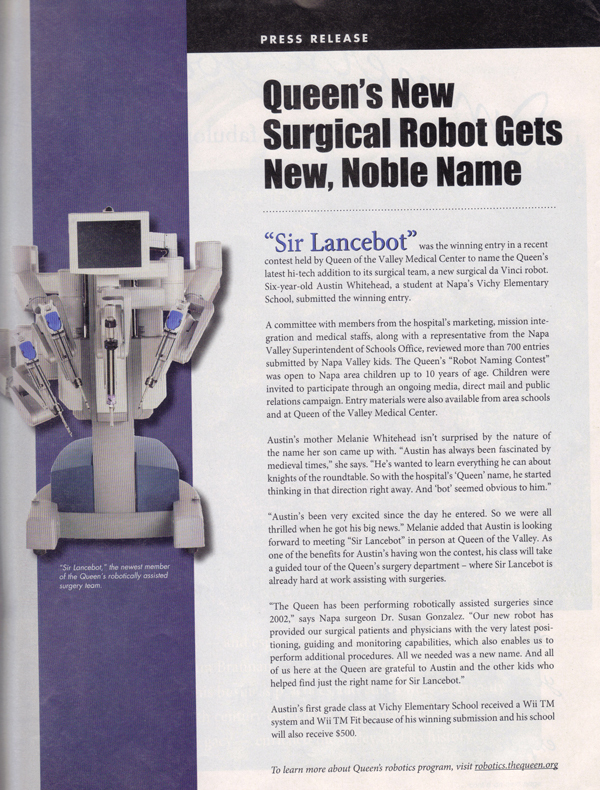 Your use of technology, robotics surgery, information on your website, and social media made it extremely easy for us to learn about her condition and treatment. 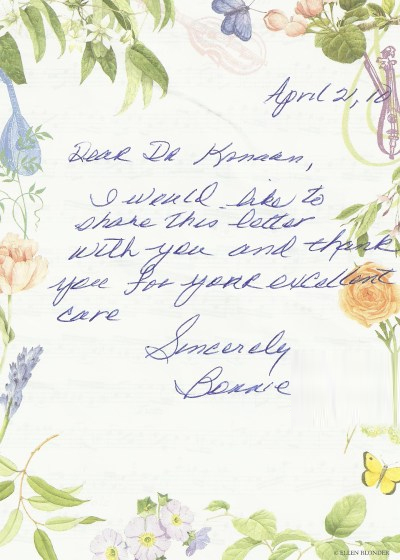 In addition your communication either by phone, text, email, and the very warm care we received from your staff, made us feel you were always there for us! From our initial consultation through surgery and post-surgery care, your compassion and complete control of every detail, test, appointment, and follow up in the hospital was always so personal, immediate, professional and responsive, reducing our anxieties to a very low level. 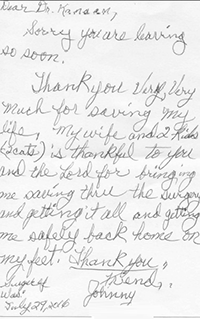 Thank you, we are forever grateful for your expertise, and saving Linda’s life. Feeling much better now & very grateful that such a cheerful, educated & well traveled individual as yourself was available to make the whole again. 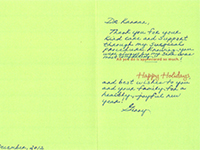 You have made such a profound difference not only in my life, but the lives of my family and friends. What you have done for me meant the world to me, I can't thank you enough. I wish nothing but the best for you. Thank you for all your hand work on March 10, After almost ten hours of Surgery I will bet you did not feel any better than I felt. 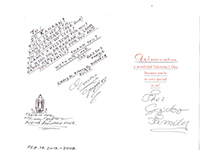 Thank you so very much for all that you did to care for my mom. 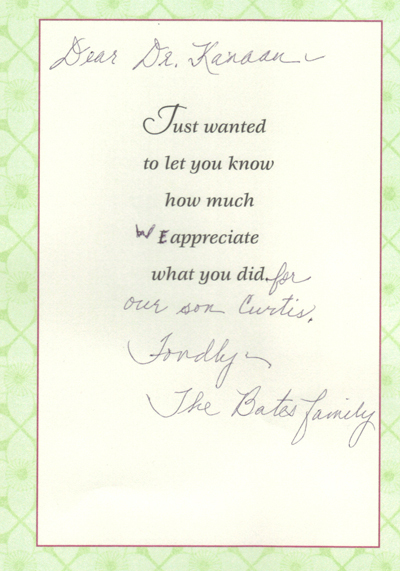 My family and I Really appreciated the countless hours you spent performing surgery at the hospital looking after her. Just sending a little sunshine your way. 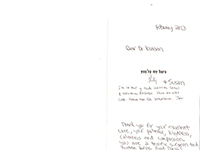 Because your excellent care brightened our lives so much. My mom Muriel is doing very well. We are 100% happy with her outcome—Thank you so much. Terry said it so well. This has been so much easier a time than I expected. The birthday cake—that was truly the icing. What might have been a bad time has been upbeat, and I'm feeling better day by day. 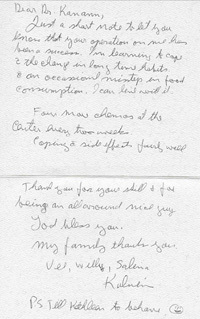 I would like to share this letter with you and thank you for your excellent care. 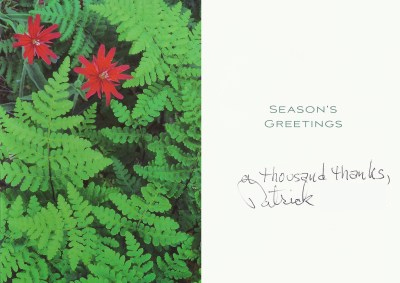 Offering quiet thanks for the goodness in life... and asking God to give you every blessing at Thanksgiving. 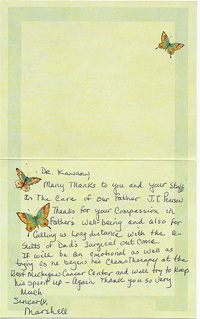 Best wishes and many thanks to my Dr Kanaan for saving my life. This is my 1st year anniversary for my operation. Thank you doctor for making is possible to celebrate today! I'm fully on the recovery stage and so far everything is going well. I hope to see you soon. 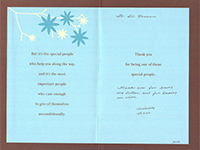 Best wishes and many thanks for you Dr. Kanaan and your supporting staff! 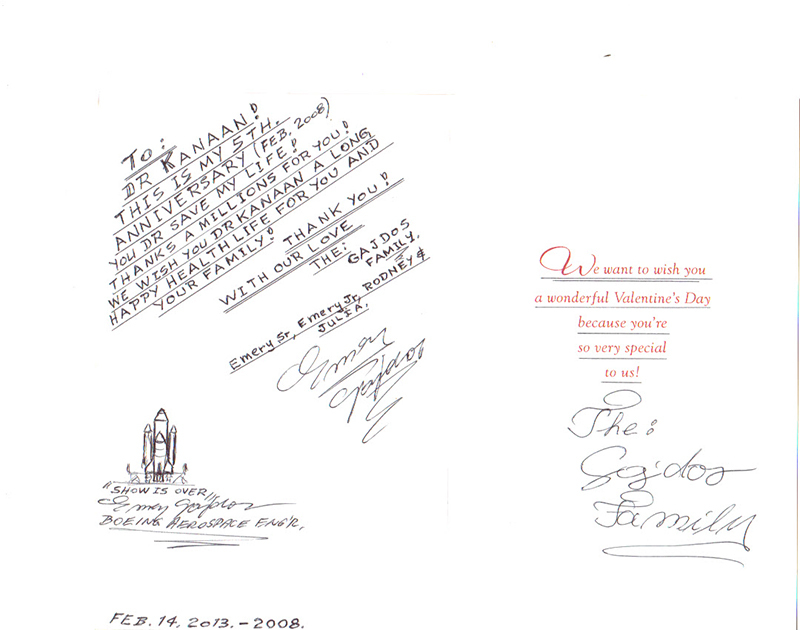 Bless you all and Happy Valentines Day! You're the best Dr. Kanaan. 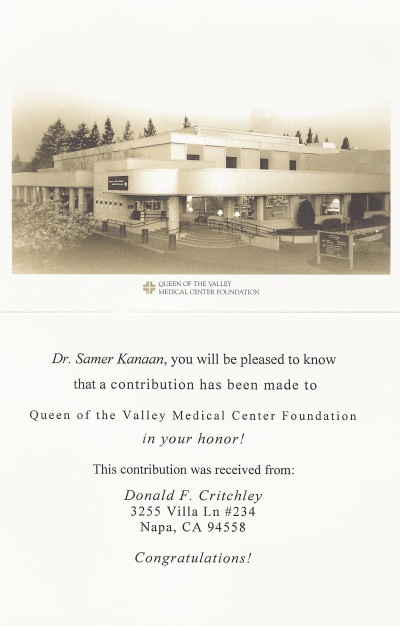 A thousand thanks, Patrick G.
Dr. Samer Kanaan, you will be pleased to know that a contribution had been made to the Queen of the Valley Medical Center Foundation in your honor!